1. You pray hard that it doesn't rain before you meet your crush. 2. All your hair products have the words "volume", "volumising" or "body" on them. 3. You spend hours styling your hair only for it to last minutes outside. 4. You realise that scalp sunburns are real. 5. 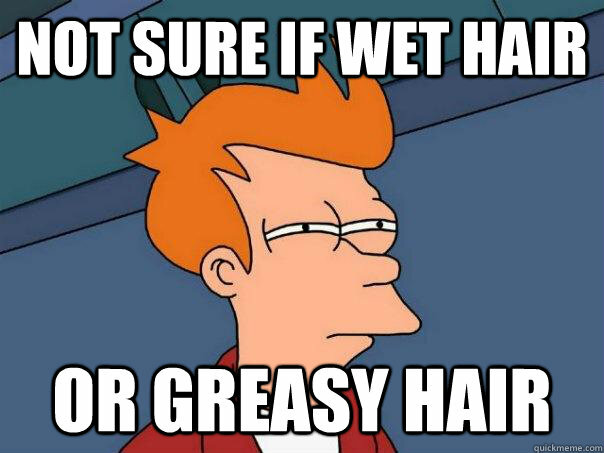 Your hair is a grease-magnet, no matter how many times you wash it. 6. You get REALLY annoyed when people complain about how thick their hair is. 7. You're self conscious about how you look in photos. 8. You die a little inside when you see chunks of your hair falling into the drain. Did we miss out any? 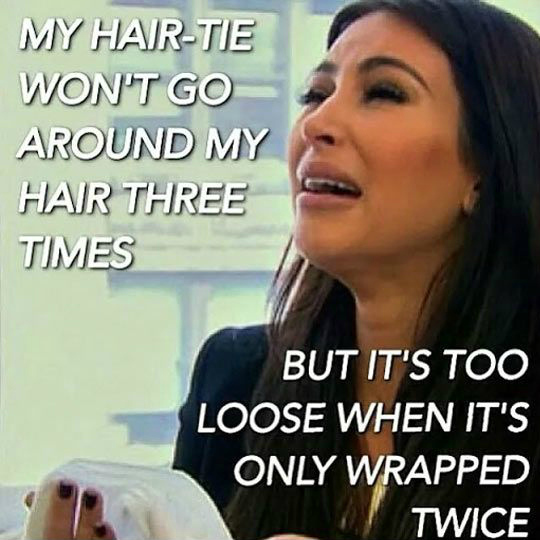 Tell us in the comments below what your thin hair struggles are! While we're still wrapping our heads around contouring, a new wave called "baking" has hit the makeup world. No, it has nothing to do with food or an oven. This makeup tactic has been historically used by drag queens for years. It involves putting on layers of concealers and powder on your face and waiting 5-10 minutes before dusting off. This allows the heat from your skin to set your foundation and concealers, hence the term "baking". The end result: flawless smooth skin free from fine lines, creases and pores. 1. Hydrate your eye area. Ensure that your eye area is well hydrated. This will minimise the appearance of any fine lines or creases. Try Cosmetics 27 Eyes 27 which tackles fine lines and dark circles. 2. Apply a thick concealer under your eyes. Apply a cream concealer from under your eyes all the way to your temple. Blend it out using a sponge. Try Koh Gen Do Moisture Concealer which prevents dryness and caking. 3. Put on more concealer. Apply a second layer of concealer and blend with a damp sponge. You may be thinking it's a lot of makeup and we won't lie, it is. Try Surratt Surreal Skin Concealer which is oil-free. 4. Dust translucent powder. Using a small fluffy brush, apply translucent powder over areas where the concealer covers. This sets the base makeup. Try Koh Gen Do Face Powder. 5. "Bake" your makeup. Dip a damp wedge sponge into translucent powder and apply the loose powder generous over your concealer. Don't be stingy on this! Leave it on for 5-10 minutes to "bake". 6. Dust it off. Using a small fluffy brush, swirl it in on some pressed powder and dust off the excess loose powder in quick strokes. Try Koh Gen Do Pressed 2-Tone Powder. And BAM! You're baked. Watch how beauty vlogger and makeup artist, Heidi Hamoud does it. And if you have monolids, it can be a tad tricky. There's a chance that you'll end up covering your entire eyelid; and your eyeliner still wouldn't show when you open your eyes. Luckily, there is a "floating" eyeliner hack to solve this problem. Beauty blogger, Francesca of Working With Monolids, says that all you have to do is to keep your eyes open and draw your eyeliner as if your eye line is the same as your lash line. For that perfect sharp flick, you'll need a precise eyeliner pen such as Surratt's Auto-Graphique Eyeliner Chat Noir. You can also channel your inner unicorn with glitter eyeliner. Or smoke it up by blending dark eyeshadows on the outer edge with your eyeliner. These eight beautiful colours from Koh Gen Do's Mineral Eyeshadow Palette can help you do just that. Give this hack a try and let us know in the comments if it worked for you!